Is it wrong to become besotted with inanimate objects? Because I’m head over heels for these wonderful wooden creations, and I’m not afraid to admit it! I mean, what child wouldn’t want a coat rack/seat/shelf combo? It’s just one of the wooden wonders being whittled in the workshop of Nicole Schubert. She’s the founder of Nikl Play Equipment, a dynamic new play equipment business, and here is your exclusive look at Melbourne’s hottest new play products. Nicole started her career as a furniture marker in Germany, creating custom furniture, play equipment, storage and display units for child care centres. Her creative flair is reflected in her new venture, which incorporates practicality with the beauty of wood. 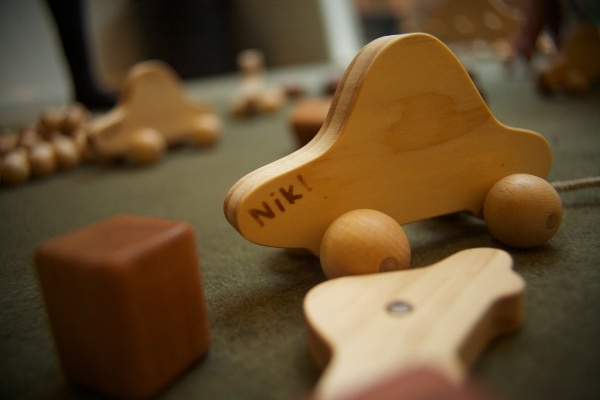 Each piece has a dual purpose – for instance, the small wooden car ($28) can be used for play or as a massager. The stunning coat rack at the top of the post has several uses, which can include a bed head, complete with built-in bedside tables, all for $400. And what about some good old-fashioned fun with puppets? 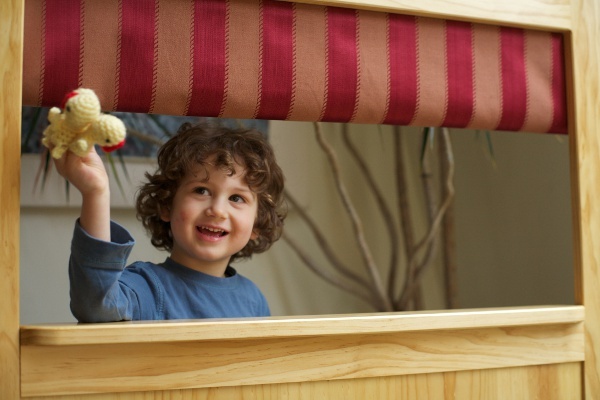 The puppet theatre is a throwback to simpler days when the uses for a simple sock over the hand were only limited by your imagination. And of course, it can double as a shop front. It’s priced at $299. Delivery on some of the Nikl products is free for Melburnians, and though Nicole is talking with retailers, the only place you can get a hold of her wares right now is on her website.